Guys, today (August 24) is the last day of voting for your Social Media bets in the 1st Globe Tatt Awards and here’s the list of the finalist with corresponding Tatt votes. The Advocate-a person or a group of individuals who worked to improve the state of a societal cause in the Philippines through social media. Congratulations to all the finalist! Winners will receive P100,000 in cash and premium broadband products from Tattoo. 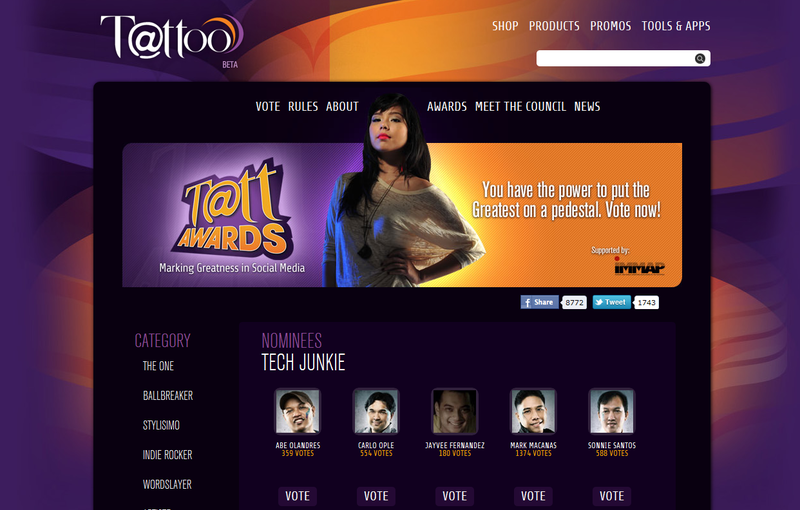 The Tatt awards night will be on August 27, 2011.Kudos!